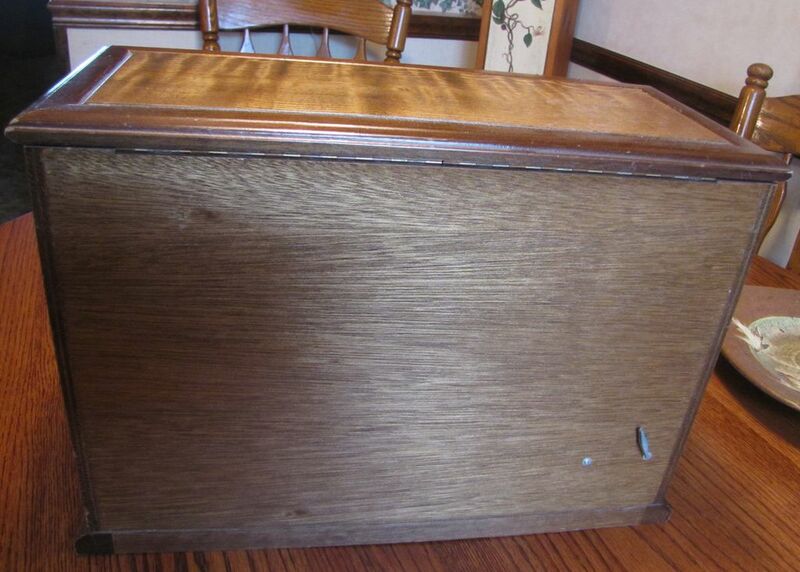 This is a very old, large, solid wood jewelry box or chest of drawers. 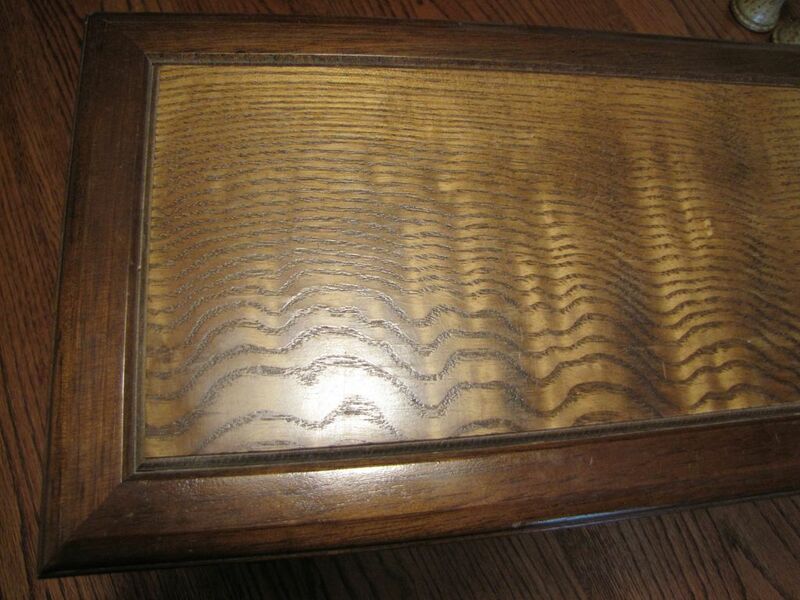 It has been made of various woods, which is primarily walnut with some pine and some maple. 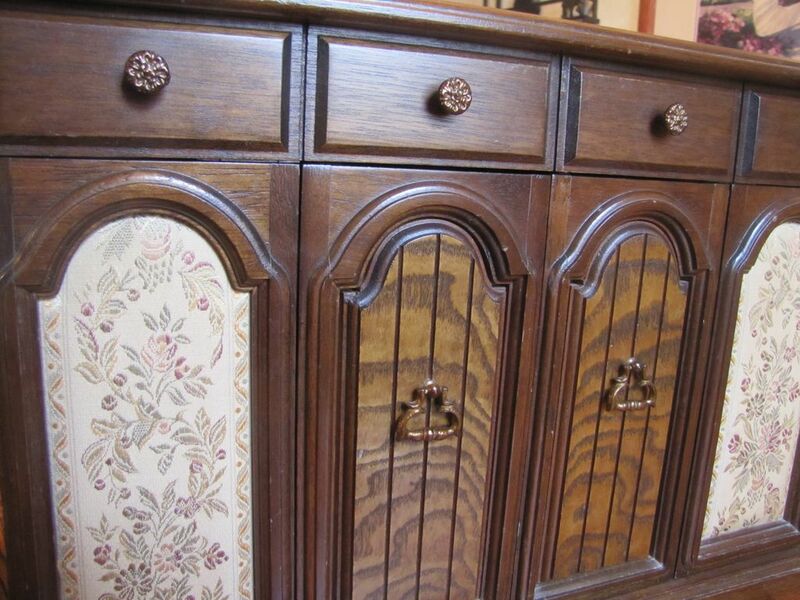 There are also two front panels which have a very pretty embossed fabric. It has all copper colored brasses. 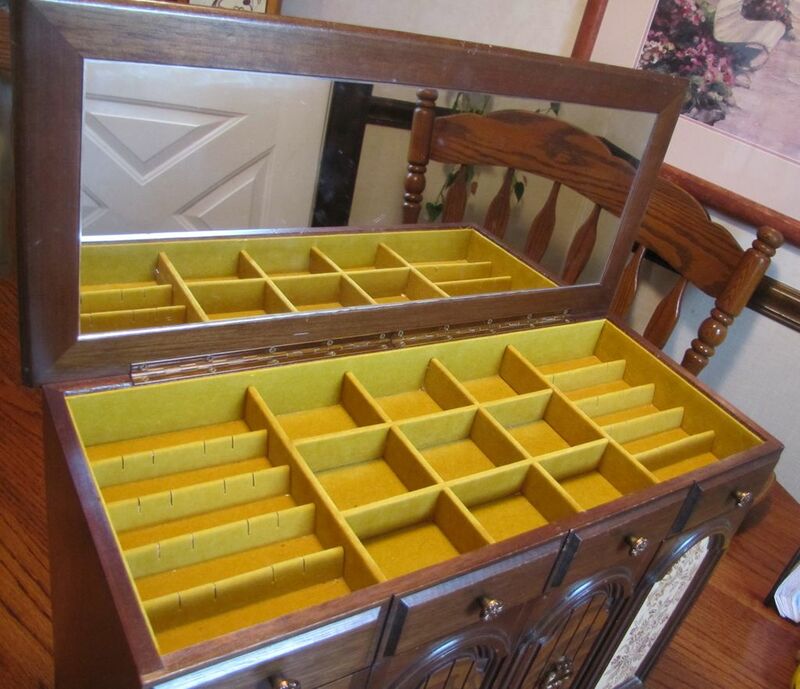 The top opens to display a large mirror as well as many compartments for jewelry. 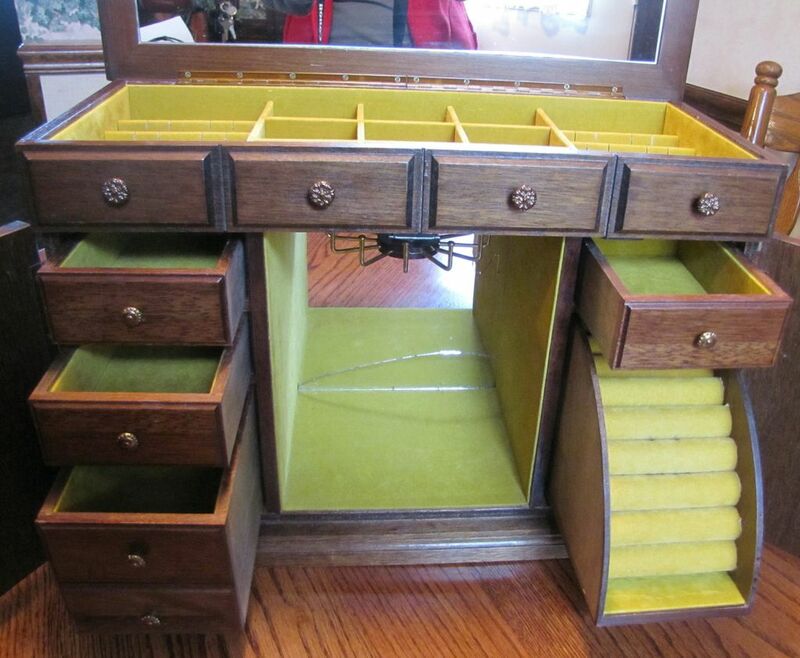 There are 5 drawers and a drop down roll top compartment. 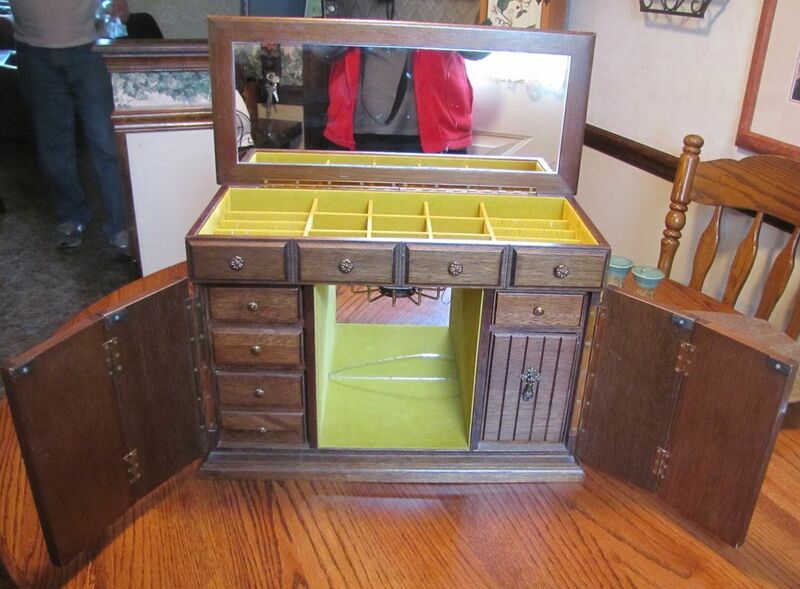 The inside middle area has a turning necklace holder. Note: there is a mirror on the back portion where the necklace holder is that has two cracks in it but can easily be replaced. 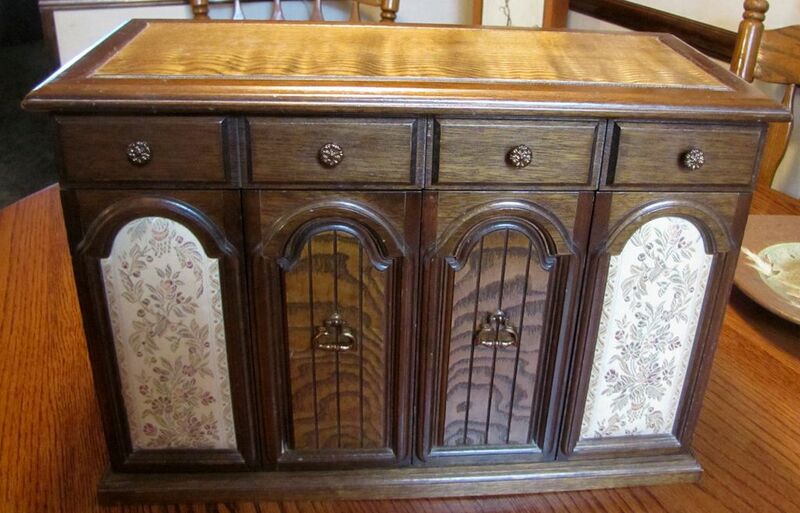 It has a music box that plays the song "The Shadow of Your Smile" and is in good working condition. 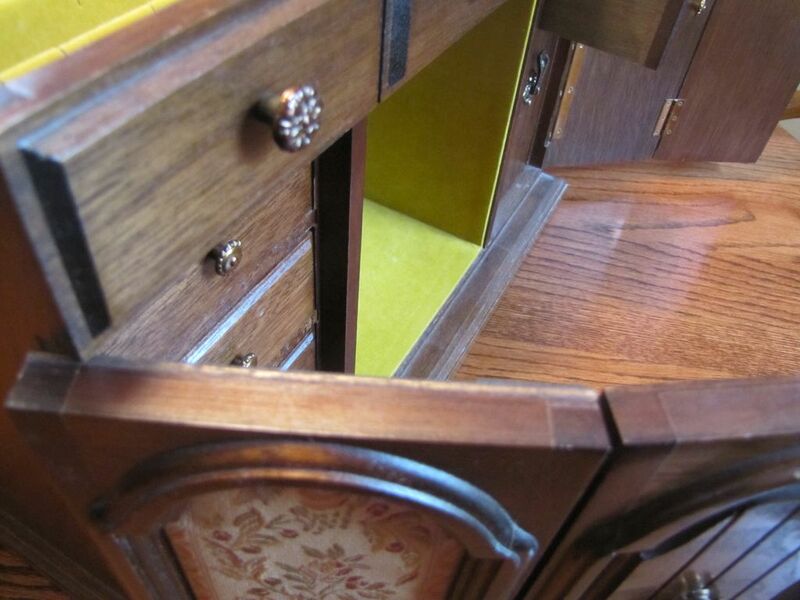 The box measures 17" tall by 11 1/2" tall by 7 1/2" deep. The bottom is stamped JAPAN.